I know there are many people out there (myself included), who are suffering from a multitude of skin ailments including acne, redness, inflammation and irritation. One such cause of common skin ailments is using too many products with actives, or too often. I notice my skin responds best if I pair any active treatments with a simple moisturiser. It is hard to find a moisturiser that is essential oil free, fragrance free, and high in natural, healing ingredients. Pistache's Hydrating Moisturiser is one such moisturiser I know I can rely on for gentle but effective hydration. 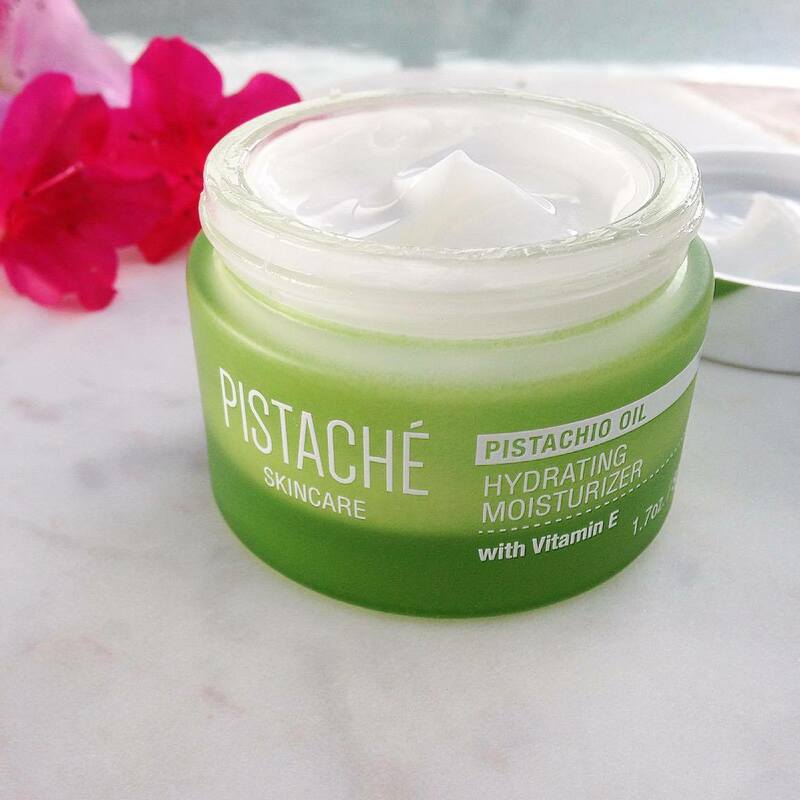 I was sent a jar of Pistache Skincare's Hydrating Moisturiser and was so impressed that I had to share my thoughts with you guys! 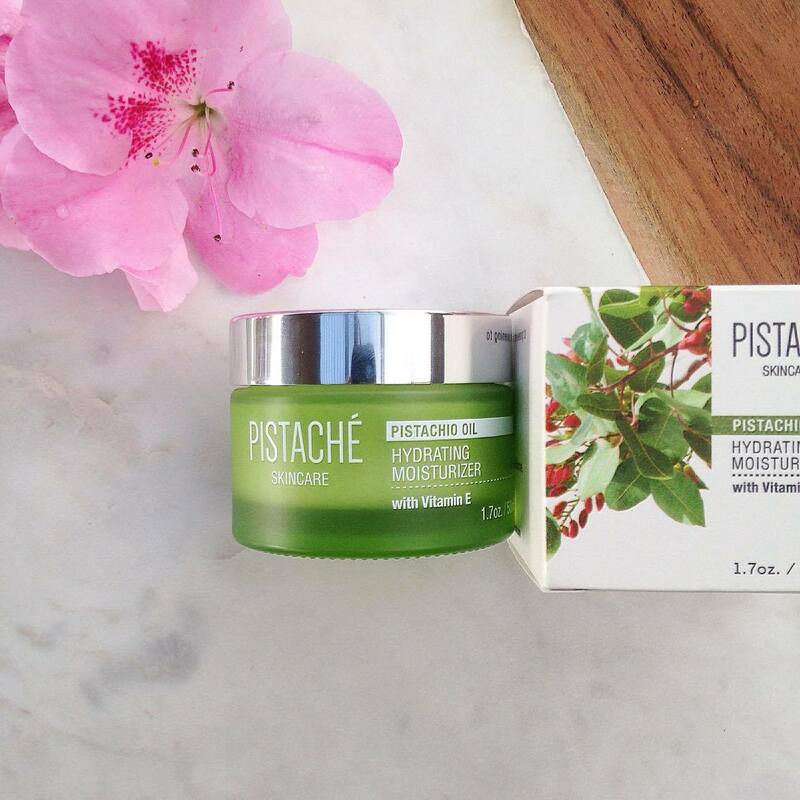 As a fourth generation pistachio grower; founder of Pistache, Sima, knew firsthand the long term benefits of pistachio oil on hair and skin. But no matter where she looked, she could not find skincare products that were effectively harnessing the power of this unique ingredient. She created Pistaché Skincare because she wanted to infuse vitamin and mineral rich pistachio oil to formulate powerful natural products. This hydrating moisturiser contains potent hydrating ingredients such as pistachio oil and lecithin to heal the skin. Pistachio oil is rich in vitamins, minerals and antioxidants. In the Mediterranean, pistachios have long been a cherished commodity thought to promote rejuvenation. Today, modern research is discovering the benefits of pistachio oil as a rich source of lutein and vitamin E, both of which have been shown to provide essential antioxidant protection for the skin. French soybean lecithin—found in the hydrating moisturizer—helps soften and moisturize skin by working as a penetration enhancer that enables other ingredients to absorb deeper and minimize moisture loss. Studies show that it is a potent antioxidant that helps repair free radical damage while soothing inflamed, irritated skin. Full Ingredients: Deionized Water, Glycerin, Pistacia Vera (Pistachio) Seed Oil, C12-C15 Alkyl Benzoate, Caprylic/Capric Triglyceride, Sodium Acrylates Copolymer, Lecithin (Phospholipids), Polymethylsilsequioxane, Acrylates Copolymer, Allantoin, Polysorbate 60, Tocopherol (Vitamin E), Caprylhydroxamic Acid, Caprylyl Glycol, Aminomethyl Propanol, Ethylhexylglycerin, Tetrasodium Glutamate Diacetate. 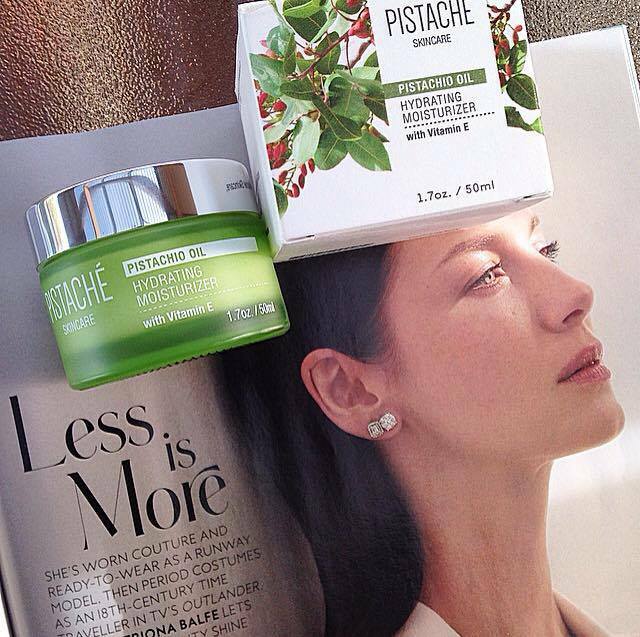 Pistache's hydrating moisturiser comes in luxurious looking green glass jar packaging. The moisturiser found inside is incredibly silky and hydrating. It feels like an indulgence to reach for this jar and scoop some product out. To use this product, I simply scoop some out with dry, clean fingers. This cream is perfect for my dry, sensitive skin, and I have found my redness/acne to heal faster when I use fragrance free/essential oil free products such as this one. I apply it morning and night, underneath my sunscreen in the daytime, and over my active treatments such as retinol and AHA/BHA's in the night time. I would recommend this moisturiser to anyone with dry and/or sensitive skin looking for a basic moisturiser to keep skin hydrated and happy. 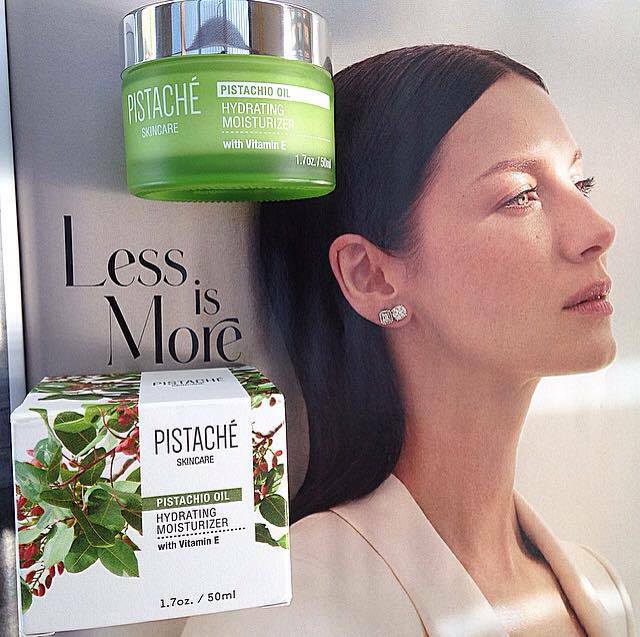 To purchase this cream, check out Pistache's website here. 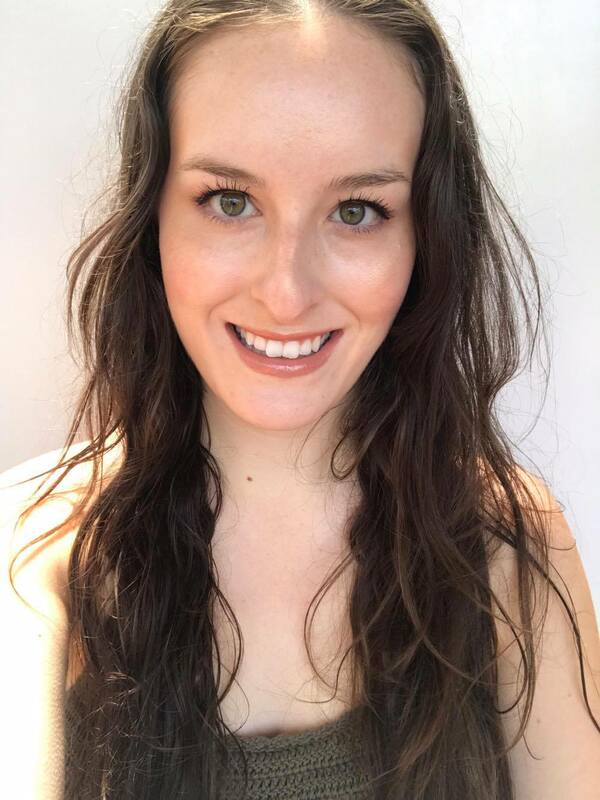 Love that you are pointing out the need to pair active treatments with calmer products--I generally try to be conscious about layering plain hydrosols and carrier oils when I am using something more intense like a retinol, EO's, etc. I also make a point of seeking out brands that use low percentages+ high quality with their more potent ingredients. Nature is powerful! We should treat it with respect in general, but also for our skin! I wish more skincare makers would talk about optimal layering strategies for various ingredients.